At Firebase, it's our mission to help developers like you build better apps and grow your businesses. That means Firebase needs to work for you from your first user up to your millionth, with pricing plans that scale as you do. Today, we're excited to announce that we're changing our Blaze (pay-as-you-go) plan to align with the free usage that we offer on our Spark (free) plan. To view more detail about these free usage limits, including a pricing calculator, you can check out our pricing page or scroll to the end of this blog post. If you're on the Blaze plan and stay within these free usage limits, you will not be charged for the month and you will not receive a bill. You'll be charged for any usage above these limits at the same rates as before. The Spark and Flame (subscription) plans remain unchanged. We've also heard your concerns about exceeding specific limits on the Blaze plan. 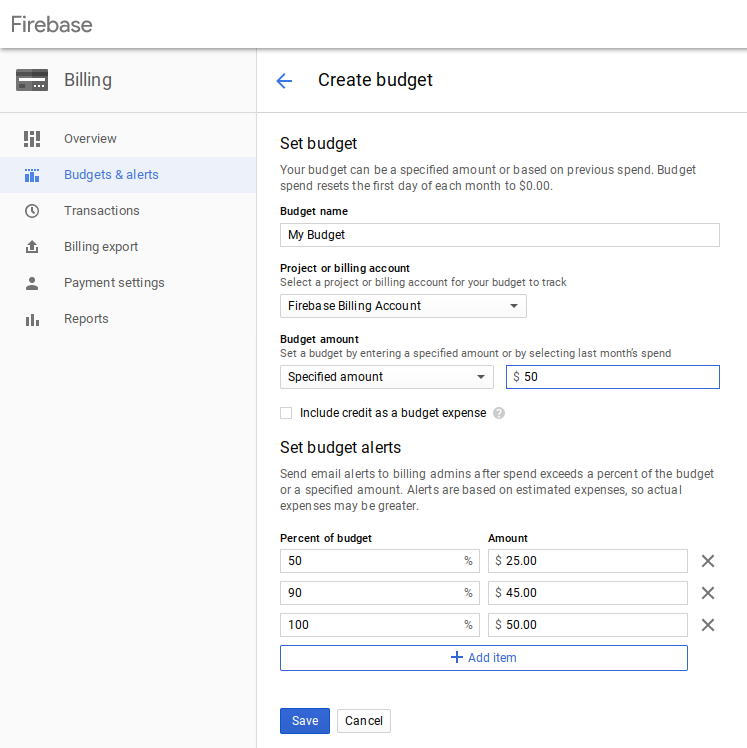 Now, you can set up alerts, so you get notified when you're reaching usage thresholds, and set budgets in the billing section of the Firebase Console. You can choose project or billing level budgets and specific alerting thresholds. This update will also make it easier for you to use Google Cloud Platform (GCP) services. The credit card you use for the Blaze plan is also a payment method for GCP. We know that previously, it was tough to justify adding a payment method when you would lose your free tier on Firebase. 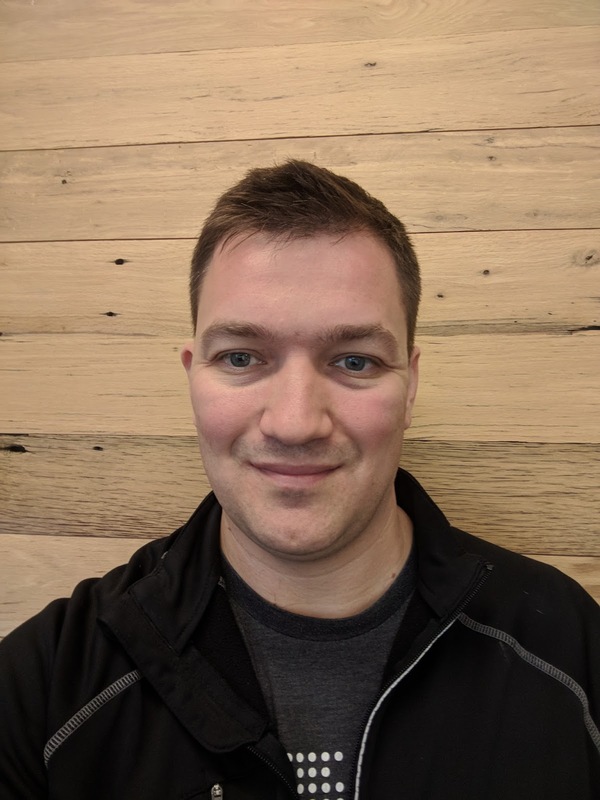 With this change, you can safely upgrade to the Blaze plan to use a GCP service without it affecting your Firebase costs. There are a few minor differences between the Spark plan and the free usage within the Blaze plan. Free usage on the Blaze plan is calculated daily, whereas the Spark plan is calculated monthly. For Cloud Functions, free usage on the Blaze plan is calculated at the billing account level, not the project level (multiple projects can be associated with a single billing account). The usage limits are 2M invocations/month, 400K GB-second/month, 200K CPU-seconds/month, and 5 GB of outbound networking/month. For Test Lab, free usage on the Blaze plan is calculated in device minutes/day, not tests/day. The usage limits are 30 Physical Device minutes/day and 60 Virtual Device minutes/day. As always, if you have any questions, please don't hesitate to contact us. We hope these pricing changes simplify your life and let you focus on what matters: building a great app. Happy coding!